These are the words of Ferran Savall writing in the sleeve notes for his first solo album. Mireu el nostre mar is part of the new wave of music making that transcends all established categories and ditches marketing hype in favour of letting the music speak for itself. Ferran's roots are in early music as a théorbe player with his father Jordi Savall's ensembles. 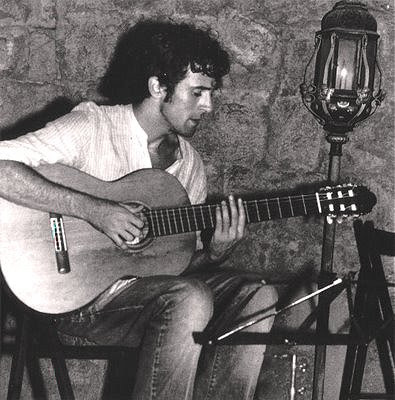 But he is equally as home jamming in the jazz and folk clubs of Barcelona and other European cities, and the accompanying photos from the CD sleeve show him well and truly unplugged from early music. 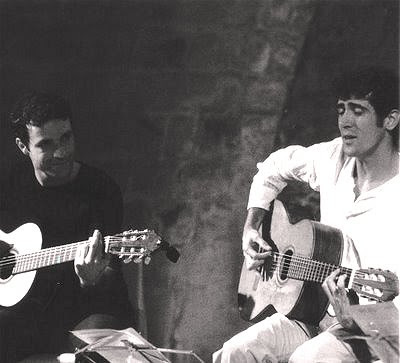 Mireu el nostre mar has its roots in folk music, and Ferran Savall sings and plays guitar and piano with an acoustic group that includes fellow guitarist Mario Mas (seen in footer photo) and frequent Jordi Savall sideman Dimitris Psonis. Ferran Savall's great achievement on his first solo album is to make ancient Catalan and Hebrew folk melodies speak powerfully to contemporary audiences. His arrangements follow in the footsteps of that master folklorist Pete Seeger, who transformed a Ukrianian folk tune into the contemporary classic 'Where have all the flowers gone?' 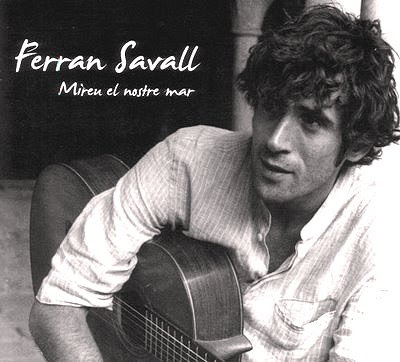 Ferran Savall's arrangements of traditional folk tunes are coupled with his own beautiful settings of verses by Rainer Maria Rilke and other poets. The humanitarian message of the songs follows in the pacifist tradition of the 1960's folk movement and, of course, Ferran's parents, Montserrat Figueras and Jordi Savall, who are UNESCO 'Artists for Peace'. I took Mireu el nostre mar with me on my recent journey to France. This article is being written using a biro and an exercise-book in a café in the university quarter of Avignon, and I will transcribe it when I return home. Time and time again I have found myself returning to Mireu el nostre mar during this tough and thought-provoking trip. The album has none of the polish and perfection of Hesperion XXI's music making. Instead the 45 minute disc has an refreshingly improvisatory and spontaneous feel that is summed up in the final cut which was recorded live in Paris. 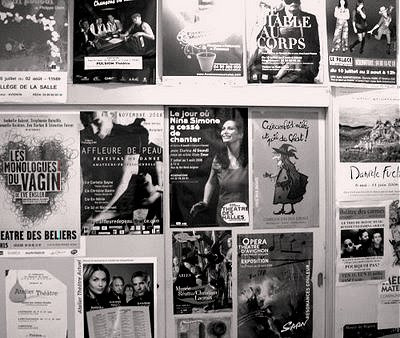 There is something of an underground feel to the whole project; the sleeve graphics are more ECM than Alia Vox, the obligatory YouTube video is conspicuous by its absence, Ferran's own website is rudimentary and MySpace seems to be where he hangs out. 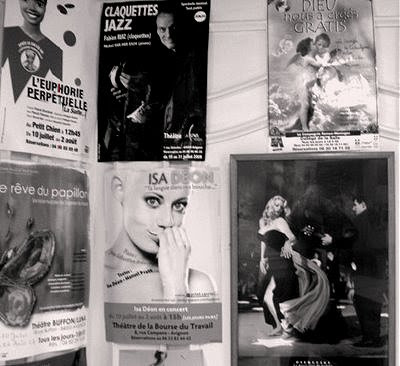 So to convey the special atmosphere of the album I've taken some grab-shots with my camera in the café here in southern France, and I'll intercut those images with sleeve shots. If you like the feel of this post you will like Mireu el nostre mar . Savall family magic here and here. Another great Catalan here. He's accompanied by accordion (what else?) in "die Stadt der Musik" and the accordion capitol of Southwestern Germany.